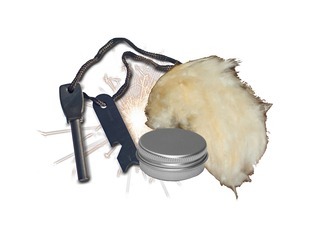 Looking for an identification guide to moths? 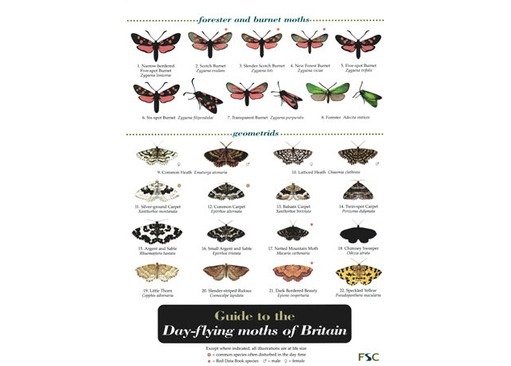 Around 1500 species of moths are found in the British Isles, but most of them fly at dusk or at night. 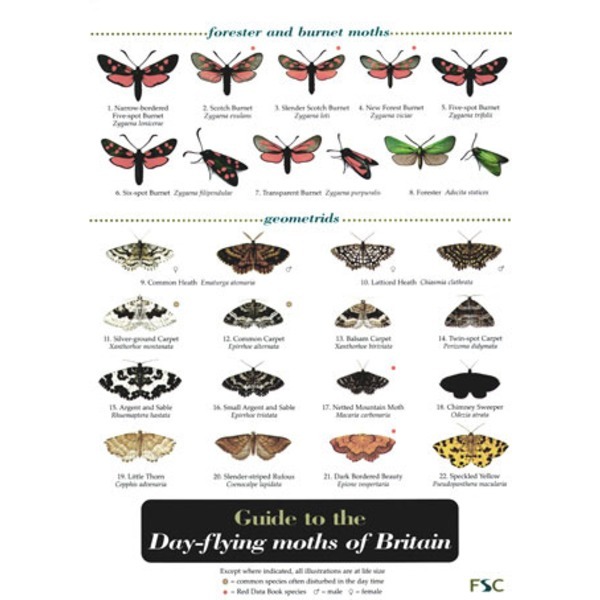 This 8-panel laminated fold-out chart concentrates on 103 species of moths which fly by day, including a few very common species that are not strictly day-flying but are regularly disturbed from vegetation. Designed for use in the field, the full colour illustrations show the adult moths at life size (a small number are at x1.25) and in their natural resting postures. Text on the reverse side, arranged by family but with full cross-referencing to the images, provides further information about the habitats and distribution of the species illustrated. New for summer 2007: Hawkmoths of the British Isles - also stocked!